An obituary is a news article that reports the recent death of a person, typically along with an account of the person’s life and information about the upcoming funeral. 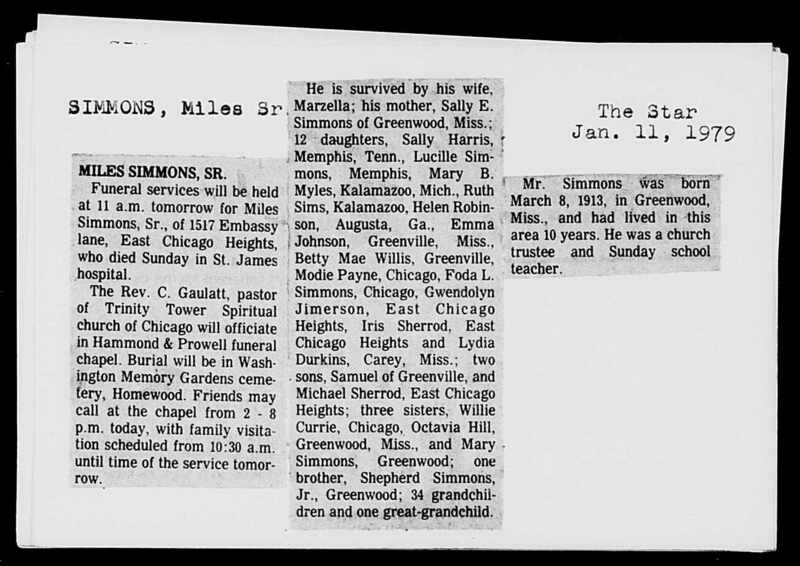 In large cities and larger newspapers, obituaries are written only for people considered significant. In local newspapers, an obituary may be published for any local resident upon death. A necrology is a register or list of records of the deaths of people related to a particular organization, group or field, which may only contain the sparsest details, or small obituaries. Historical necrologies can be important sources of information. Cora Corbin was born July 3, 1984 in Kalamazoo, Michigan. She was born the daughter of John and Linda Corbin (deceased). After the passing of her mother at a young age, Cora was then raised by John and Karen Corbin. Cora and her family moved to Toledo, Ohio in 1999, where she resided until our angel received her wings on Friday, December 16, 2016. Cora graduated from Rogers High School, in 2002. She played volleyball, ran cross-country and was a cheerleader. She was employed at Mercy Hospital for five years before following her dreams to become a natural hair-stylist. Besides doing hair, Cora possessed many other talents. Her creativity set her aside from others. She loved baking cakes, painting, sewing, and experimenting with different foods. This chick was one adventurous daredevil, whether it was jumping out of planes, bungee jumping, or zip lining. She always lived life to the fullest. She was energetic and full of life, a beautiful soul who was always willing to help others. Her beautiful smile could light up any room. Her warm angelic ways made her loved by many. Cora was a devoted mom of two boys, Lj and baby Tj, whom she loved with her heart and soul; she would do anything for them. She was also a beautiful daughter, a loving sister, and a great aunt to her nieces and nephews. Cora was preceded in death by mother, Linda Corbin; two grandfathers, Billy Woods and Nantko Boltjes; two grandmothers, Beverly Carnegie and Juanita Thomas. She leaves to mourn, her loving parents; two beautiful sons, Ladonn Coleman Jr. and Terry Campbell Jr.; four sisters, Natasha Craven, Jonna Corbin, Calise Corbin and Ayrika (Lawrence) Layton; one brother, Prentiss (Kaitlynne) Gray; maternal grandmother, Doris Woods; seven aunts; one uncle; seven nephews; five nieces, and a host of cousins and friends. Wake services are 7:00 to 9:00 p.m. Monday, December 26, 2016 at House of Day Funeral Home. Funeral services Tuesday 1:00 p.m., preceded by wake services at 12:00 noon at First Church of God. Pastor Robert Culp officiant. Tara S. Herron-Bausal, 46, of Normal formerly of Decatur peacefully departed this life on Sunday, August 9, 2015 in Decatur, Illinois. Tara was born on November 29, 1968 the daughter of Larry W. Thomas and Sheila (Irby) Perry. She was a 1987 graduate of MacArthur High School. She accepted Christ in her life at an early age and was a member of the Mt. Zion Baptist Church, Decatur. Later in life she moved to Normal, Illinois, where she became a member of the Eastview Christian Church. She was involved with the Jr. High Ministr, small group leader and served as a greeter. She was employed by INCCRA. She leaves to forever cherish her loving memories: her mother, Sheila (Columbus) Perry of Bolingbrook, IL; children: Teara (Jermain) Herron of Dekalb, IL, Terron J.Herron of Bloomington, IL, Taliyah Herron and Anthony John Bausal both of Normal, IL; grandchildren: Jolie V. Herron and Aria Herron; grandmother, Ruby Thomas of Meridian, MS and a host of cousins , aunts, uncles and friends. Tara was preceded in death by her father, husband, Anthony Bausal. John E. Smith, both of South Bend, and Matthew Smith of St. Louis. Deacon of Greater Friendship Baptist Church, and an Army veteran of World War II. Published in the South Bend Tribune; Sunday, Dec. 10, 1989. BLOOMINGTON – Anthony “Tony” Bausal, 34, of Bloomington, died at 5 p.m. Thursday (Sept. 25, 2008) at OSF St. Joseph Medical Center, Bloomington. Service: 1 p.m. Tuesday at the Calvert & Metzler Memorial Home, Bloomington, with Pastor Tafforest Brewer officiating. Visitation: 11 to 1 p.m. Tuesday at the Calvert & Metzler Memorial Home, Bloomington. Survivors: his wife, Tara S. Thomas Bausal; four children, Teara Herron, Normal; Terron “T.J.” Herron, Taliyah Herron and Anthony “John” Bausal, all of Bloomington; one grand-daughter; mother, Cheryl (Kenneth) Barnes, and father, Anthony (Dale) Bausal, both of Bolingbrook; seven brothers and sisters, Monica, Jeffrey, Shamar, Randy “Mark”, Felicia, Kimberly, Jennifer and Christopher; maternal grandmother, Lola Cook, Chi-cago.